By default, Android powered HTC Smartphones comes with Locked Bootloader and default Recovery firmware which is not so much useful and handy. ClockWorkMod recovery is a very simple and feature rich recovery software which gives many features like Backup and Restore, Mount as USB etc which are mostly not available on stock Firmware or recovery software. To install CWM Recovery, you first have to Unlock your device's bootloader and then Root your phone. 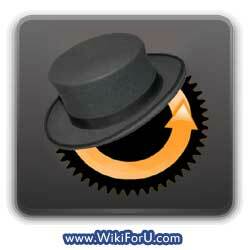 After going through these two processes you will be able to install ClockWorkMod recovery on your HTC mobile phone. Although, now doing these two things may seem very difficult, but actually these are very simple to do and at the end you'll have a freedom in your device, freedom to do anything or install any custom ROM on your device. Please note that Unlocking bootloader and Rooting your phone will void your warranty, so do it at your own risk. Here, i am using HTC Desire C, so the actual process or steps may vary phone to phone. How to Unlock Bootloader of HTC Mobile Phone. How to Root Your HTC Android Phone. For other phones search on Google: ClockWorkMod For 'Your Device Name' and download the file given there. Extract the downloaded archive to C:\Android folder. Put the battery and press Vol Down+ Power button. Open Command prompt by going to start menu and typing cmd. That's all. Restart your phone and you've successfully installed CWM Recovery on your HTC Android phone. thanks gurjit :) but m still confused to choose between cwm touch and cwm beta_2.. please help me. which one is better? You are Welcome Aman. I think you should choose CWM Touch as the Beta version may have some bugs. it keeps on waithing for device and nothing hapends. what do i do? On which step you are? Please explain briefly? Dear Pedroluiscorobo, Actually I don't know exactly what is wrong. But I suggest you to try the same on some other computer. If the problem persists then it means that the problem is in your Phone, otherwise it is in Computer. Tell me results and I'll be more than happy to help.